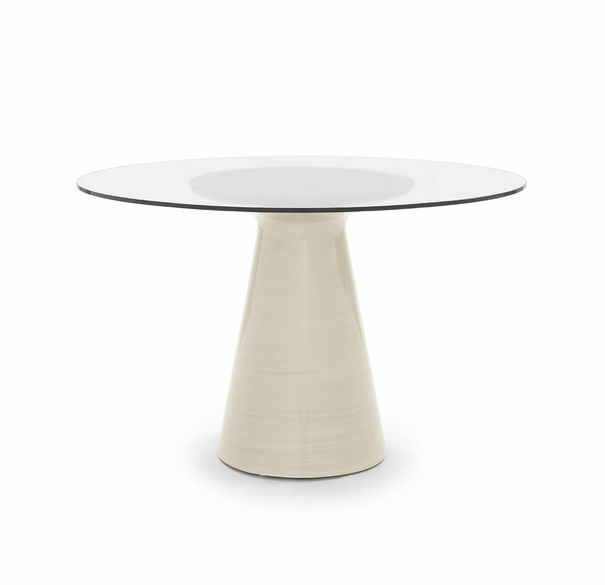 Simply elegant, this sculptural pedestal dining table in a hand-applied brushed metallic finish invites intimate conversation with a few or many. Circular table top features a black glass insert topped by tempered glass. Available in 3 sizes 36”, 48” and 60” in Brass, Pewter and White.